It’s 80 degrees and sunny this Valentine’s Day in LA. 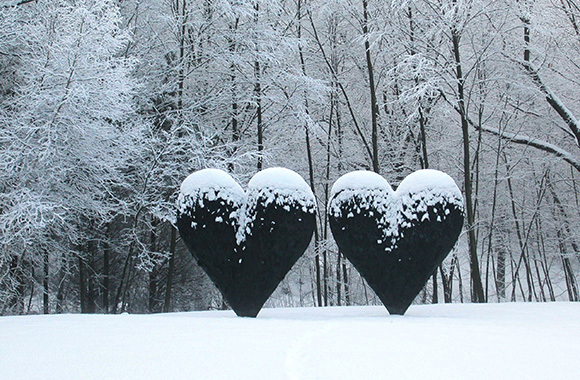 For those of you stuck in the Polar Vortex, my heart goes out to you. It is blue and covered with spines, but I’ll take it over the alternative. With permission from the horse ranch at Beachwood Canyon, I lugged home a chunk of “Big Blue” and stuck it in the ground four years ago. 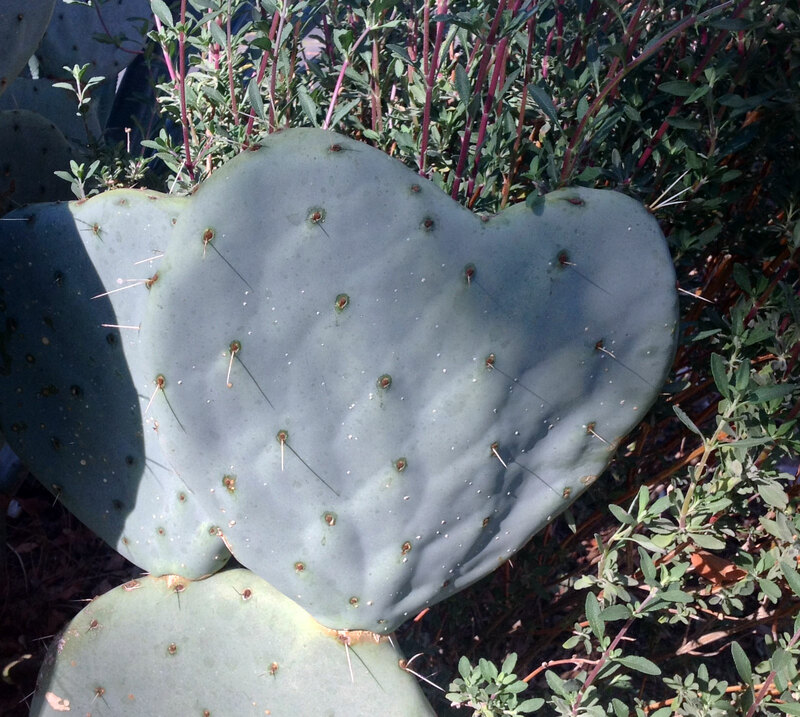 This opuntia is a bit of a thug, but it does reward me with heart-shaped pads every so often and yellow flowers in the spring.